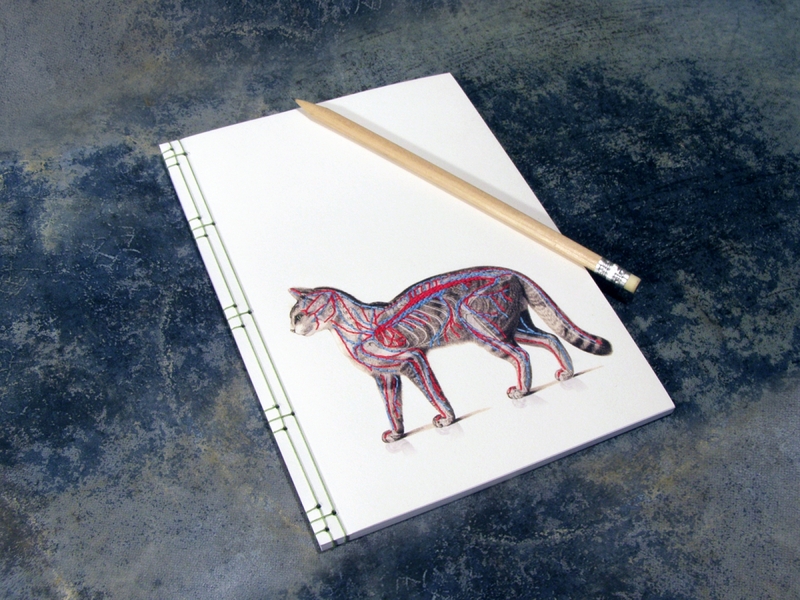 Cat Anatomy Journal. 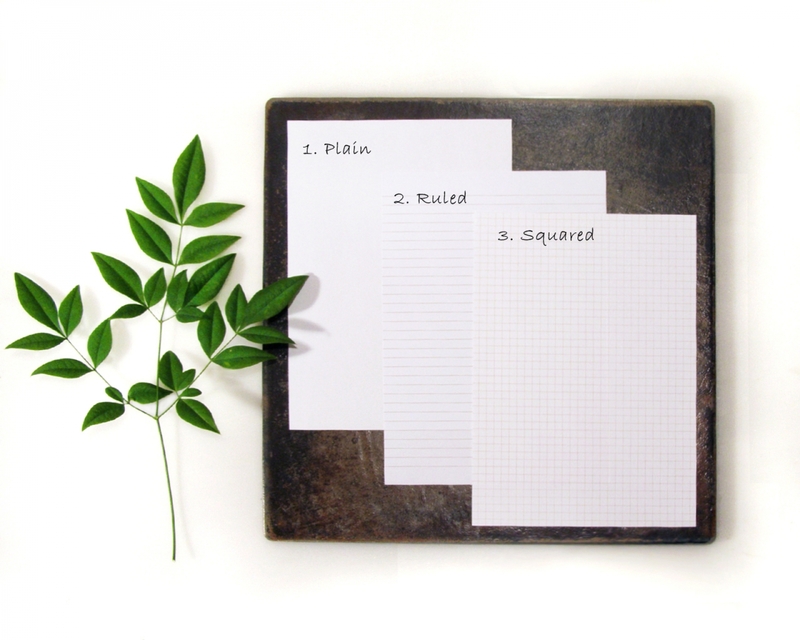 Embroidered Notebook. 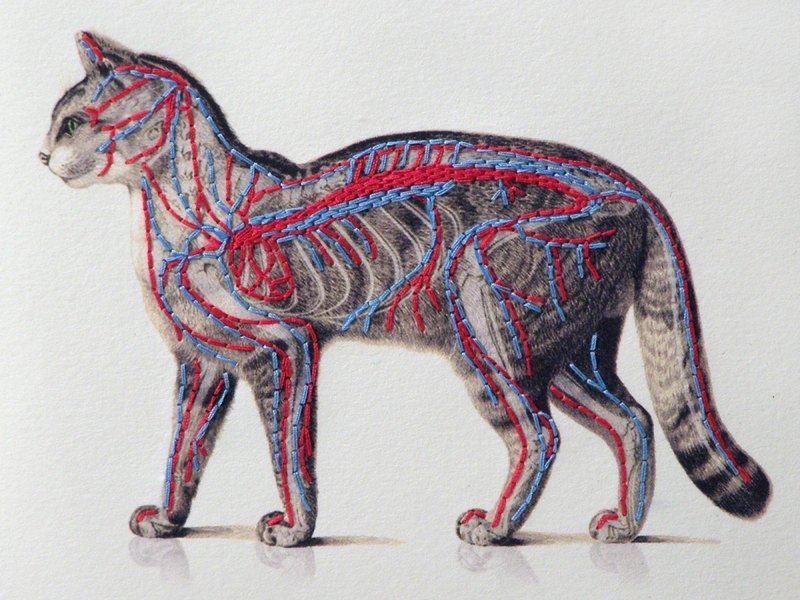 Front cover of an off-white card stock, with an Anatomical print of a Cat, hand embroidered in red and blue cotton threads showing the blood circulation in veins and arteries of the cat. 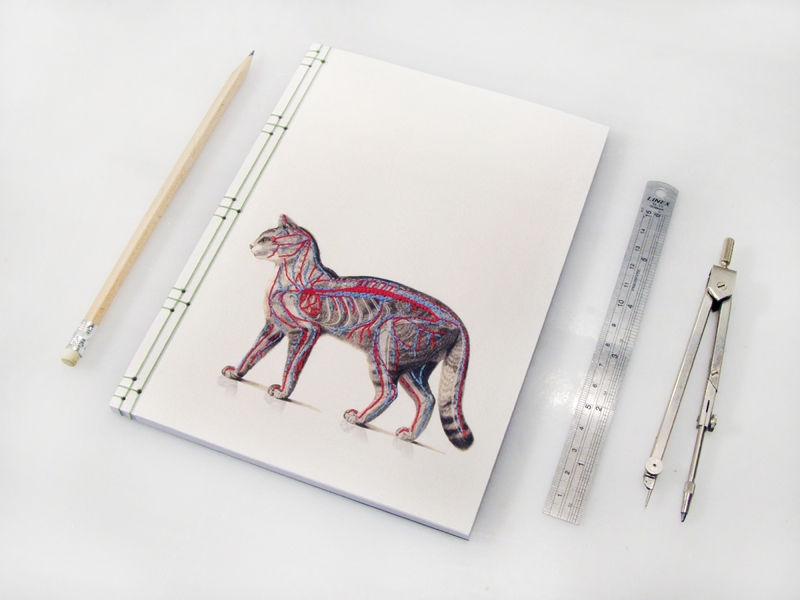 Great gift idea for your veterinary doctor, or just an anatomy lover as I am! 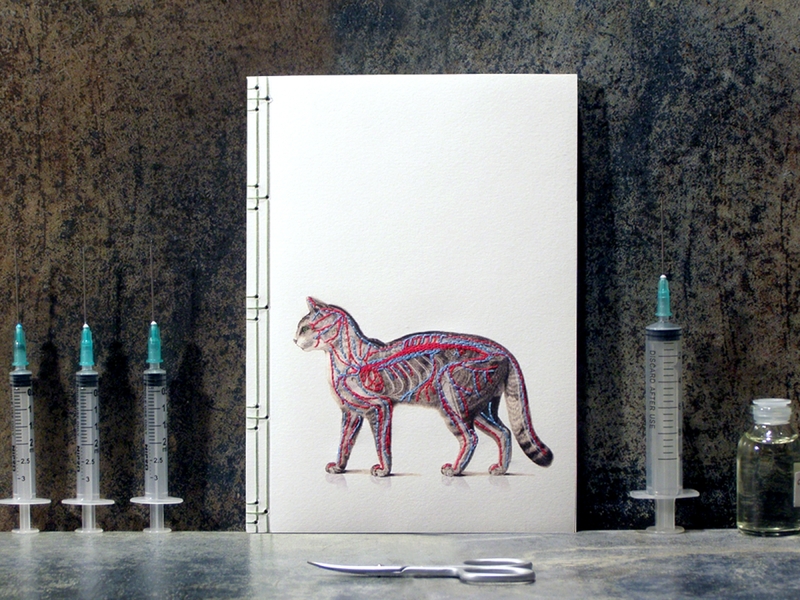 ☞The anatomical print is (a mixture made by me) from "Anatomie Desciptive et Comparative du Chat" by Hercule Strauss-Durcheim, 1845.